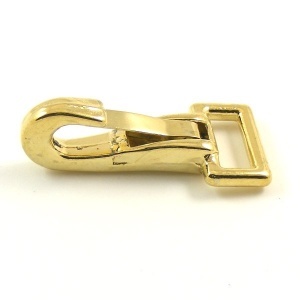 This is a mini snap clip with a brass plated surface and a square eye with an internal measurement of 1/2" (12mm). 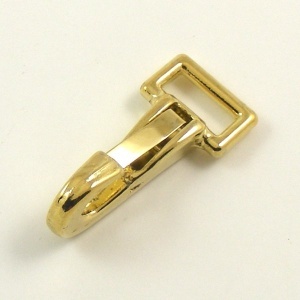 The whole clip measures 1 3/4" (45mm) from end to end. We also sell these with two larger eye sizes - 3/4" and 1" and in packs of 10 at a reduced price per item.